Sure, a single-family home anywhere in Metro Vancouver is pricey, but have you ever wondered just how your neighbourhood – or city – stacks up compared to others across the region? If so, then a new heat map from estateblock.com might be just what you’re looking for. 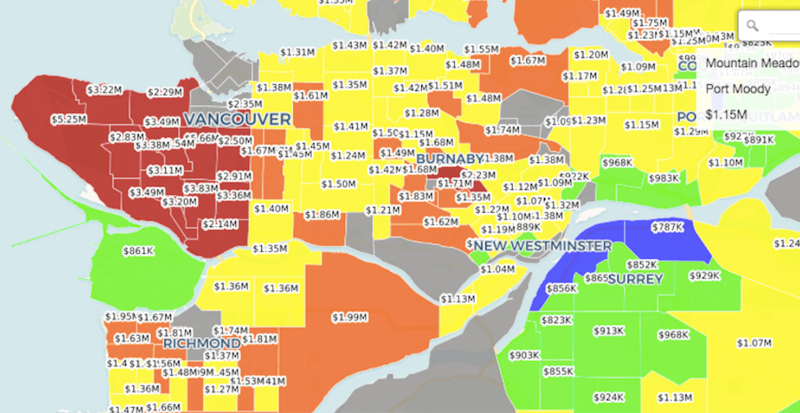 The team at Estate Block – a Real Estate Search Engine for Metro Vancouver – recently spent a couple of days creating “super-detailed” interactive heat maps of Lower Mainland 2018 Real Estate Prices. The information was broken down to neighbourhoods and type of property, to allow everyone to get a glimpse at the current housing price situation. Have a look at the various price-points and properties and determine where yours stacks up.